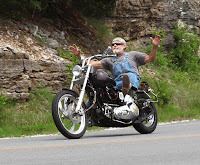 Meet Joe Skaggs, a motorcyclist and action photographer. Joe became interested in motorcycles about 35 years ago after acquiring his first motorcycle in a trade for a 1971 Volkswagen bus. He has been riding and taking photos ever since, mostly for enjoyment. 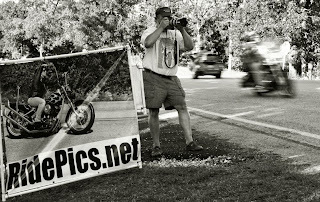 His enjoyment turned to business in 2009 when he created his current roadside photography venue; Ride Pics. The inspiration for this turn occurred after riding the "Tail of the Dragon" near Deals Gap, North Carolina, a stretch of highway that boasts 311 curves in 11 miles. "The evening after riding the Tail of the Dragon, I told my riding buddy I could take photos like the fellows we passed that day while riding. 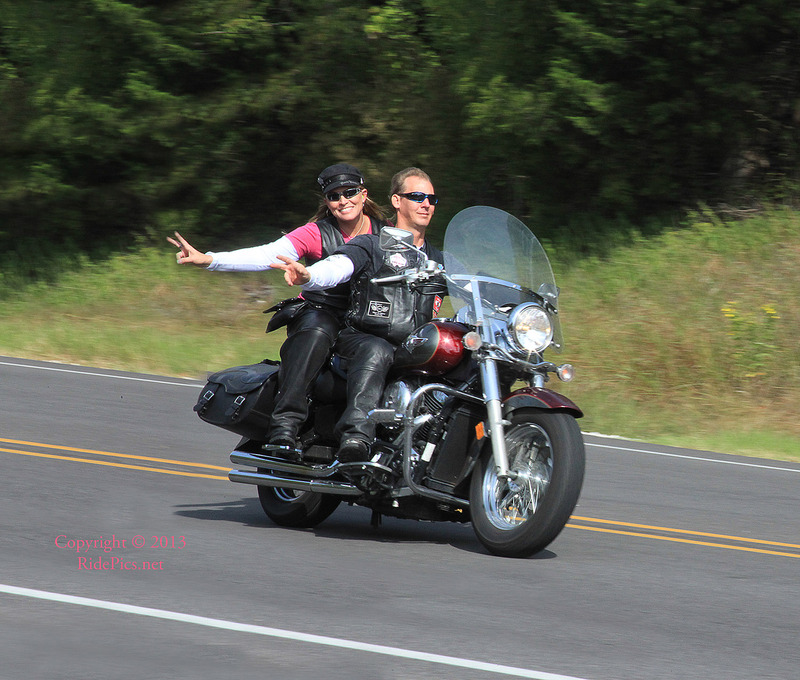 Those photographers were set up at several hairpin curves taking photos as quickly as the bikers rolled by. Many Arkansas roads are ideally suited for this," states Joe. This was Joe's chance to combine both his passions. For the past five years, Joe sets up and takes photo images of motorcyclists as they ride past his location near Eureka Springs, Arkansas. He is found on location during most holidays and on many weekends throughout the riding season. 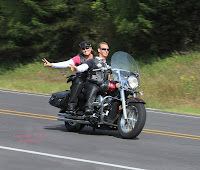 While several area roadside shooters have come and gone over time, Joe has become a time tested regular whom thousands of bikers have become familiar with seeing along the highway. A typical day of shooting will consist of Joe and his lawn chair, thermos, banners and truck parked beside the road with his Nikon at the ready. On some days, there is time for relaxing and daydreaming between bikes passing by, while on other days the flow of motorcycles is a steady or intermittent stream. During the rally, the flow is heavy and the shooting stream can get pretty wild, but the excitement seems to be enjoyed by Joe, he takes it all in stride and just keeps shooting year after year. Joe attempts to photograph every motorcycle passing by his location, and then posts them for review and purchase on his website. 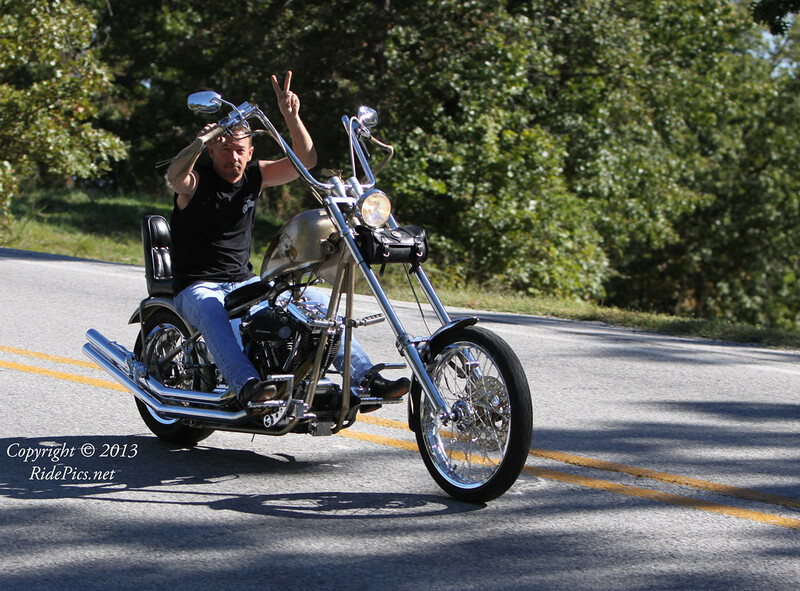 This year will be his fifth year shooting during the Bikes, Blues and BBQ rally. 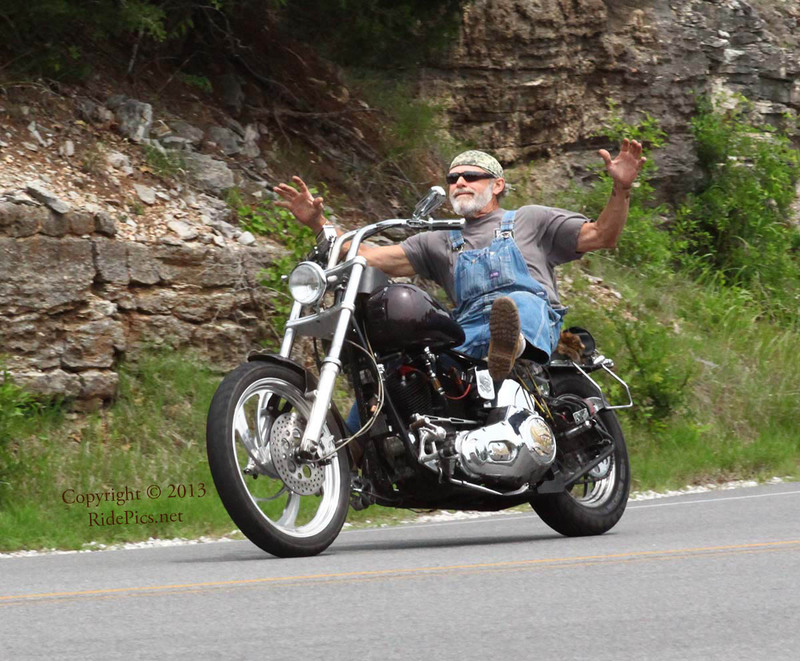 Joe will be set up approximately 8 miles west of Eureka Springs along HWY 62. Watch for his banners along the highway, be sure to wave and smile!